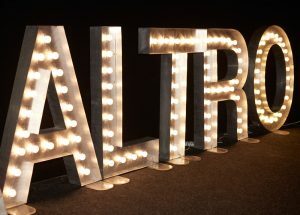 It’s been a little while since our last blog post – that’s because we have been so busy installing light up letters at all your fabulous wedding and events! With our peak summer wedding season well under way, it seems as if we haven’t had a spare moment! Light up your life – letters and numbers for any occasion! So we are now almost at the end of April and gearing up for our busy summer season! 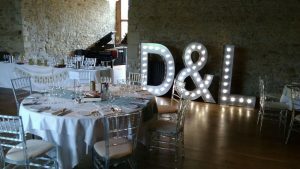 In the last few weeks, our crew have been working hard installing letters at some delightful spring weddings, such as this one at the gorgeous Notley Abbey, near Aylesbury…………. The daffodils are starting to bloom, the sun’s out, and at long last, we are starting to feel Spring-like at Wedding Letter Hire HQ! We are so lucky to have open countryside surrounding our offices and to be able to look out of the window and see all the beautiful Spring colours emerging. February – the perfect month to pop the question! February is here…… and we are feeling the love at Wedding Letter Hire HQ! Valentine’s Day is just around the corner and what could be a more romantic day to pop THE question to that special someone! So, with proposals in mind, we did a quick mini- survey around the office to find out whether any of our staff had received ‘interesting’ marriage proposals. 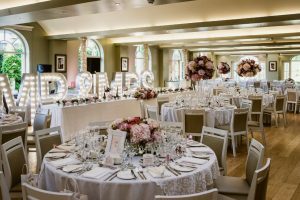 So….we are now well into January, and judging by the number of enquiries we have had over the last couple of weeks, it looks as if you are all busy booking your weddings and events for this year, next year, and even beyond! The good news is, if you are getting married in Winter, Spring or Autumn then we have a very special offer on for you! We are offering £50 off our usual price on both our ‘LOVE’ letters and wedding initials packages. Please get in touch via the website or give us a call on 01582 206046 to find out more. 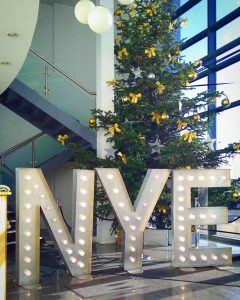 First…… a quick look back on some of the wonderful Christmas and New year events from last month: we were supplying letters for corporate parties a -plenty, such as this one at nearby Needham House……. and this one for New Year’s Eve at Burton Albion Football Club….what a stunning image! December is here! Here’s a look back at our November high “lights”…! So…..December is here already, and we are now getting well into the swing of our busy Christmas party season here at Wedding Letter Hire HQ. Our letters feature at London Ski and Snowboard Show 2016 for second year in a row! Wedding Letter Hire feature at Lipsy fashion launch!